After drawing criticism last year for taking a private jet to accept an environmental award, Academy Award-winning actor and environmental activist Leonardo DiCaprio took a commercial flight to and from last weekend’s People’s Climate March in Washington, according to a source close to the actor. DiCaprio was also driven around locally in a Tesla electric car. 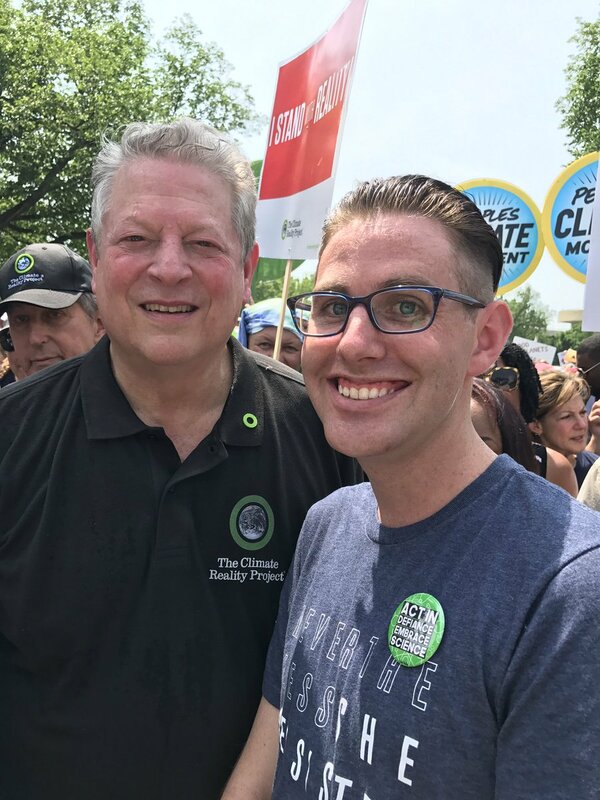 Delingpole: "Many of the organizations on the People’s Climate March steering committee are in receipt of millions from Democrat donor, arch-globalist, and Agent of Evil George Soros. Mr. Soros, who heads the Open Society Foundations, contributed over $36 million between 2000 and 2014 to 18 of the 55 organizations on the march’s steering committee, according to an analysis released Friday by the conservative Media Research Center. Six of the groups received during that time more than $1 million each: the Center for Community Change, the NAACP, the Natural Resources Defense Council, People’s Action, Public Citizen and the Union of Concerned Scientists. Scientist William Briggs reacts Planned Parenthood claim: The most appalling announcement came from Planned “We Can Get Baby Hearts For You Cheap” Parenthood. They tweeted, “The climate crisis’ negative impact on the environment could have devastating effects on people’s reproductive health. #ClimateMarch.” “Reproductive health” is an evil euphemism for killing the lives inside would-be mothers. And here PP is implying the climate “crisis” will slow the rate of this killing.